Unfortunately no one wants to become an expert on divorce because we hope to never need the knowledge again. However, this brief over-view may help you get a clearer picture of your options rather than a lamb being led to slaughter. Knowledge is power. Although I am not an attorney, I have been working with conflicted divorcing couples for over 35 years. I hope this knowledge may assist you with finding the best approach to your divorce and reduce the damage of an adversarial divorce. There are many different ways to seek a final divorce resulting in the form of a legal document (settlement or court order). Your final document will outline the financial details and include a parenting plan if you have children. The parenting plan will address your children’s needs and your co-parenting arrangement. The process you select may make all the difference in the final outcome. I will start with the simplest and least costly and move to the adversarial means of seeking a divorce. When parties are agreeable, they may resolve all of their issues on their own. This is easiest if there are no children and very little financial resources. 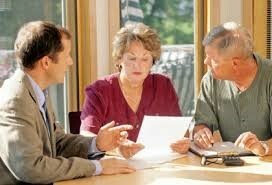 (The more involved the finances, the more important it is to have the right professionals involved). It is important to recognize that settling without any real assistance from a professional puts both parties at risk because they will not recognize all the details that should be addressed in their settlement. Saving money, and/or being naïve can cost you much more at a later date if the settlement has significant loop holes in it. You can find on-line parenting plan check lists or templates but they are very basic and leave room for significant loop holes. So consider the possibility that your relationship may change and require more attention to detail than you currently realize. Step 1. The parties sit down and make agreements and put them on paper. Step 2. They hire an attorney on an hourly basis to review their agreements and to put them into the proper legal format. It is very important to understand that one attorney cannot represent both of you. They will have to identify which of you will be “their client.” It is best to get two different attorneys who are willing to simply be paid to review the agreements and make sure that each of you are protected. Step 3. When the settlement is property prepared and both parties have signed it, and had it notarized, one of the attorneys will take it to court to have it entered. In some jurisdictions, both parties must also be present in court while others do not require the parties to come to court. After the court has accepted your settlement, you will get a notice indicating that the judge has signed the papers and you are now divorced. The parties may seek the services of a family mediator to help them write both portions of the divorce (financial and parenting plan). If they seek a family mediator that only helps them facilitate a parenting plan as a neutral, then they will also need to locate a financial neutral mediator for the financial portion. Step 1. The parties sit down together with the help of the professionals they have hired to come up with a fair and reasonable settlement agree. Step 2. The two professionals send all of the agreements to the designated attorneys for review. Then the process proceeds the same as above. This process is more likely to happen without either party “retaining “an attorney. It typically works better this way if the attorneys have not started working in an adversarial manner. If attorneys are already involved, it works best if they sit back and wait to see if the parties are successful or not. As noted in a previous blog, the process of seeking collaborative professionals to assist in your divorce means that you are committed to transparency and to resolving your divorce without ever involving the courts. This means the parties cannot go to court with the collaborative professionals if the process breaks down. Each member, including the parties, sign a participation agreement that states they cannot go to court. If either party drops out of the process, or they are not being transparent in the collaborative process, then the professionals must all withdraw from the case. Typically when this happens, they end up hiring an adversarial attorney to seek a divorce through the courts. Step 1. Each party must hire a collaboratively trained family law attorney who is committed to helping the parties resolve the issues without doing anything adversarial. Step 2. The attorneys help the parties to determine if they will need other team members to increase the likelihood of reaching resolution. All members of the collaborative team agree to not go to court. The team may or may not include a child specialist (for help with the parenting plan), a financial neutral (to help with the financial issues) and possibly divorce coaches to assist with any emotional components that are interfering with the process. Step 3. Working with the collaborative team, the parties typically sit down together with their attorneys in a civil manner with the goal of resolving the issues as effectively as possible. Step 4. If the collaborative process is successful then it results in a settlement agreement that is entered in the court the same as a settlement agreement but with the assistance of professionals who can help to increase the success of the process. The motivation to resolve all the issues comes out of the commitment to avoid court and the fact that they will have to start over from scratch if they do not reach settlement. This is very different than the “option” to settle as noted above in standard mediation. For more information on collaborative law, visit the International Academy of Collaborative Professionals. If the parties are lucky, they may hire a family attorney who prefers to get a settlement agreement rather than go to court. Some attorneys are known for their preference for an adversarial divorce while others may have a good track record of getting a settlement. The real key is who each party selects to represent them. Make sure to hire a family attorney rather than try to hire a friend of a friend who is a contract, or other type of attorney. It is important to know that all family attorneys are trained to begin to prepare for a messy divorce with a court hearing just in case settlement does not work. As a result they may have to do things that will increase the conflict, like send interrogates (questions) that fuel the conflict. All of this costs money from the retainer provided to the attorney even if they are able to obtain a settlement agreement. The two attorneys, if they are both reasonable and want to help settle your case may be able to get the two of you to agree to a settlement. Keep in mind they are required to zealously represent your interests, not the family interest. In some jurisdictions, the courts require the parties to seek mediation before taking up valuable court time. Mediators are trained neutrals who will help assist you to settle your divorce. Most neutrals will not give advice but hiring a private family mediator may be an option as they may be more willing to discuss options and provide ideas to the parties. This is a question that you should initially ask the mediator because it depends upon their training and how they prefer to work. Sometimes mediation is scheduled early in the process but often it is scheduled a week or two prior to the court date when the parties have already been in the painful process of preparing for court. Sometimes the judge may actually require the parties to meet with their court mediator in a conference room at the court house to make one last effort to see if they can settle their differences without the court. If one party is fearful of the outcome of court, then this can often motivate that side to be more agreeable. If they reach a settlement agreement then they do not need to have a hearing before the judge. It is important to note that meeting with a mediator may be with the attorneys present or without. Often the attorneys believe they need to be there to protect your interests or they do not think you are strong enough to withstand pressure or manipulation from the other party. This is because the mediator must remain neutral and cannot defend or protect either party from the pressure that may be used. (Of course if there has been domestic violence or the mediator is uncomfortable with the parties or their behaviors they can end the mediation process or refuse it altogether.) The mediator may meet with the spouses together first and then separate them but only if necessary to get a resolution. Often this is the first time the parties have been together without an attorney and they could have a positive interaction that resolves issues….or not. Mediation with attorneys present is typically done in two separate rooms so that the attorneys can openly discuss their position with their client without the other spouse present. Unfortunately, this type of mediation called caucus or shuttle style can be slower. It also assumes that the parties cannot behave and be managed by the professional to work towards a settlement of their own. It is also far more expensive in that the parties are paying for the mediator and each attorney for each hour they are there. If there is only one income that means all three professionals are being paid from that one source. Hiring an attorney from the very beginning can run the risk of becoming very adversarial. (If you already are highly conflicted then you need to go about seeking representation right away) The adversarial divorce consists of having the two attorneys filing for temporary financial and custodial issues to be resolved. Note the following terms have been defined in part I of this blog. Step 1. Hire a family law attorney who files the paperwork with the court which marks the beginning of the divorce process. Step 2. The spouse gets served typically by someone the attorney hires to deliver the paperwork. If the other party is unaware that their spouse has filed then this shock and embarrassment may be the beginning of a highly emotional and expensive process. Step 3. The other spouse now seeks an attorney to represent them. If the parties are lucky and have found two, rare, family attorneys who are not unnecessarily adversarial then the parties may be able to resolve their issues in a timely manner. If the parties are able to agree to all the necessary aspects of their divorce they may not have to go to court and have a hearing. They will be able to sign their settlement agreement and in some jurisdictions one of the attorneys may be able to submit the settlement agreement to the court to sign off on. Step 4. If not, they will begin the discovery process so the attorneys can learn as much information as possible to prepare for court. One portion of discover may be a long list of questions called interrogatories that must be answered. They will be looking for potential discrepancies. The other form of discovery may be requests for certain records such as bank statements, charge cards and anything else they want to view such as phone records. Discovery is used to learn what the other party knows so the attorneys may be prepared for court. It also lets each attorney know the likelihood of success in the courtroom. It helps them strategize for court and to confirm allegations if any have been made. The final form of discovery is a deposition to put each party under oath in an informal setting. The attorneys will ask questions as if they are in court as another way to learn what each party may say and how easily they can get them agitated. The deposition is often used to point out discrepancies under oath in the final hearing. Step 5. The attorneys, when the case involves children, may request the court appoint any of the following neutrals who are all granted a non-confidential status so they can report to the court by way of report or testimony. The appointment of a guardian ad litem is an attorney appointed to investigate the parent’s allegations and give final report back to the court with a recommendation on custody and time sharing. The appointment of a custody evaluator is a mental health professional to investigate the parental allegations and their fitness and also provide the court with a written report and/out testify in court regarding custody and time sharing. This often involves some testing of each family member. The appointment of a parenting coordinator is made in some high-conflict cases to assist the parents with resolving their issues either prior to the completion of the divorce or after it is complete. The parenting coordinator can provide testimony regarding the parent’s ability to cooperate and other important aspects of the case including allegations. However they may not provide an opinion as to the final custody decision. All of these professionals, along with the attorneys will be increasing the expense of the divorce. More importantly, when you have children you cannot walk away from each other. A divorce that is heard by a Judge will restrict your options and negatively impact on your co-parenting relationship. Going to court has a much greater cost than money. Going to court is extremely stressful and ultimately harms your ability to co-parent which in turn harms your children.